This week, I'm still working on reading Tim Powers' The Anubis Gates and have started Kazuo Ishiguro's Nocturnes: Five Stories of Music and Nightfall. I'm really enjoying The Anubis Gates. Powers wastes absolutely no time in jumping into his story, and I did feel that the main character was a little too easily swayed into joining the adventure (I don't want to go into details and spoil anything!) and then again the main character adapted a little too quickly to his predicament for my liking. But now that he is in the predicament, I feel the story is beginning to drag on a little bit and I wish that we could jump to the next plot point in the story. I'm sure that all of this is necessary for the actual movement of the story, but right now I just want to get into the real meat of the story. Ishiguro's Nocturnes is definitely leaving something to be desired. The only other Ishiguro that I have read is Never Let Me Go, which was one of the most amazing books that I have read in a long time. I've gotten through the first two short stories in Nocturnes, and they both deal with situations that seem so ridiculously out of the realm of possibility that they verge on being completely unbelievable (not so much with the first story, but definitely with the second). I'll probably be finishing up the volume tonight, and unless something amazing happens with the last three stories, this certainly will leave me wondering if Never Let Me Go just happened to be a fluke of a good book from Ishiguro. Want to join in and tell us what you are reading right now? Stop by and let us know. We're not so much looking for a synopsis of what you're reading so much as just your general feeling on the book(s) that you are in the middle of. A favorite quote from the book? Do you like the overall look and feel of the design of the book? Are you really enjoying what you're reading, or can't stand the story at all and are going to be moving on to something else? Let us know! Grab the logo and leave a comment with a link back to your blog. I figure this way, we can each learn a little bit about what each other is reading right now and maybe discover something that we might enjoy reading in the future! 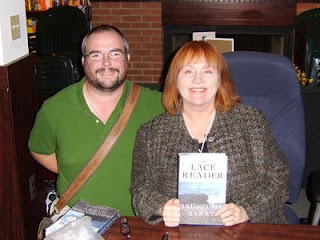 Brunonia Barry, author of The Lace Reader, one of my top books for 2008, has released the prologue and first 2 chapters of her upcoming book, The Map of True Places, on her website here. So far, I've loved what I've read, and would like to share this with my readers here, so enjoy! This week, I'm working on reading Tim Powers' The Anubis Gates and The Poet and the Donkey by May Sarton. The Anubis Gates is for a group read on LT, and The Poet and the Donkey is a reread, but Sarton is always worth rereading, and I haven't really read anything by her in a couple of years now, so I was thinking that I wanted to focus a little bit of my reading on her this year. Silence has its point. Silence, like a sky of stars on a winter night, is full of mystery and elevation. Words, on the other hand, can kill. I'll be honest, Sir Arthur Conan Doyle's The Lost World took me forever to read, and it's not that long of a book. Part of the problem is the edition that I bought, a Dover Thrift Edition, because they use small, compact type to get as much text on a page as possible to cut down on the book size, thereby keeping the price lower. The other problem is that Conan Doyle's story is wordy. Very wordy. But, it is also part of the charm of the story. 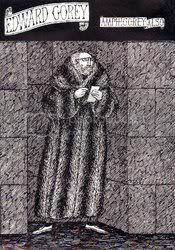 He's taken his four main characters and made them into such caricatures of themselves that they seem almost comical: Professor Challenger, the gruff, overly-charismatic leader of the expedition; Professor Summerlee, the skeptical intellectual who needs physical proof of Challenger's outrageous claims of living, prehistoric life; Lord John Roxton, the sportsman who is looking for his next big adventure; and the narrator, reporter Edward Malone, who is trying to win the hand of the woman he loves by becoming the man of adventure her overly-romantic self seems to be looking for. Filled with adventure and peril at every turn, the story did take some time to get moving, but once the adventurers found themselves in the lost world, the story really takes off and is a non-stop thrill ride. The whole idea of the book is that Professor Challenger says that he has been to a "lost world" in South America where dinosaurs still live. Naturally, he is laughed out of the scientific community, but eventually he finds a group of explorers who are willing to go with him, either to prove him wrong and a fraud or to partake in the adventure of a lifetime. 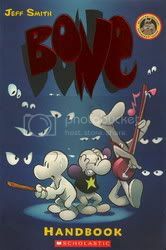 Once they finally reach the plateau where the lost world is, they find themselves in the midst of both dinosaurs and mammals that have been lost thought extinct, as well as in the middle of a civil war between a tribe of Indian "natives" and a nation of ape-men. I've read a lot of reviews that go on about how wordy the story is and how it doesn't really seem to hold up so much for our time. Well, it was written almost 100 years ago, and I think if you take it in the context for when it was written, it stands up very well and is actually quite an enjoyable book to read. Yes, some of it seems rather outdated, but at the time was probably quite the thrilling idea of a book. Taken for what it is, I really enjoyed the book and will probably look for more of the Professor Challenger books. 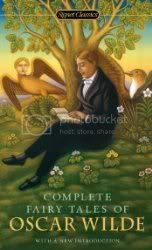 Right now, I've been reading Sir Arthur Conan Doyle's The Lost World and the Complete Fairy Tales of Oscar Wilde. 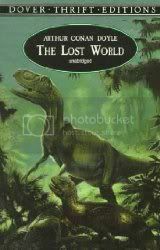 I've wanted to read The Lost World for some time now, and I'm really enjoying the story, but it seems to be slow going with the actual reading. Realistically, for as much time as I've put into reading it, I should have it finished by now, but I think part of the problem is the actual typeset of the book itself. I purchased a Dover Thrift Edition, and it seems the type is set very close together without much space between the lines and the type itself seems to be a little compressed and the margins are very small. It really looks like they were trying to get as much type on a page as they could to reduce the number of pages, and I get that these are Thrift Editions which is rather the point, but it is making for an increasingly difficult time reading the book. The story itself is fun, if a little wordy, but I'm willing to get through all of this to see how it ends, so I guess that's the sign of a good book, right? Camille Rose Garcia was born in 1970 in Los Angeles, California, and grew up in the generic suburbs of Orange County, where she visited Disneyland and went to punk shows with the other disenchanted youth of that era. Her paintings of creepy cartoon children living in wasteland fairy tales are critical commentaries on the failures of capitalist utopias, blending nostalgic pop culture references with a satirical slant on modern society. Her work has been displayed internationally and featured in numerous magazines, including Juxtapoz, Rolling Stone, and Modern Painter. In 2007, a retrospective of her work, titled Tragic Kingdom, was on display at the San Jose Museum of Art, accompanied by a catalog of the same name. 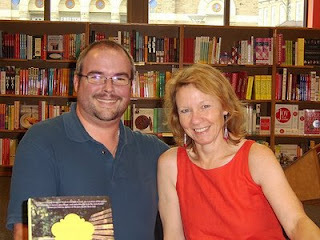 She has also written and illustrated a children's book, The Magic Bottle. The recipient of the Stars of Design award from the Pacific Design Center, she recently moved to the Pacific Northwest after thirty-eight years in Los Angeles. OK, I'm not going to be doing a review of Alice's Adventures in Wonderland, as I did a rather lengthy one last year (if interested, click here), but I do want to talk about the illustrations in this new edition. I'm a sucker for picking up multiple copies of a book that I like if there are new illustrations or something in the book that catches my interest (for instance, this is my third edition of Alice that I own, and I have 6 editions of A Christmas Carol - just to change it up a little, I try to read a different edition each time I re-read these). 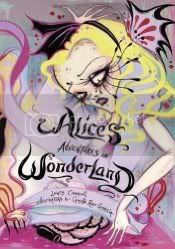 Of course, with the new Tim Burton film, Alice in Wonderland coming out in just a few short weeks, it seems that Alice is everywhere I look these days, and imagine my surprise when a friend pointed this edition out to me yesterday at B&N. I am a real stickler for the original Sir John Tenniel illustrations for Alice, but I have to say that Camille Rose Garcia's illustrations are just so unique and original that I couldn't pass the book up. These are very much a modern day Alice - Garcia kept the feel of being in a dream intact, but brought them to vibrant, technicolored life. To be honest, these illustrations look like they could have been pulled right out of Tim Burton's head - they have that same creepy yet beautiful look and feel that I find so mesmerizing about Burton's films. Garcia's illustrations are a little off-kilter and her characters look a little crazed and everytings seems just a little out of proportion (even for poor Alice, who always has trouble keeping to just the right size) and yet it all comes together to create a wholly refreshing new look for the cast of the story. We even get a few glimpses of scenes that weren't illustrated in the original, such as the actual Lobster Quadrille, not just the Mock Turtle and Gryphon's demonstration. I'm hopeful we'll get to see her take on Through the Looking Glass in the near future. For more information on the artist, you can visit her website here.